you know...the one who never had any fun on and around Halloween. Yep. You know the one. But that has been changing...and I think I have Heidi Swapp to blame credit. The truth is now I just can't help myself with all the festive Halloween-esque goodies she comes out with. Halloween in Lights for sure. That Lightbox, it's just all that. 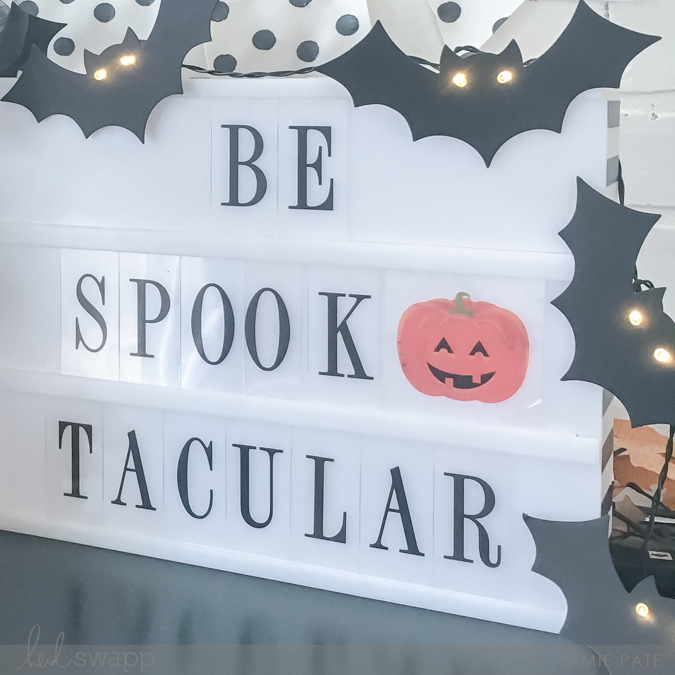 New serif font now available at Michaels, along with that cutie little jack'o lantern icon, became the focus of a little party vignette here at home. See what I did there with the Bat Garland? Laid bats on the Lightbox. Even used pop dots to give them some stick-to-it-ness to the sides. 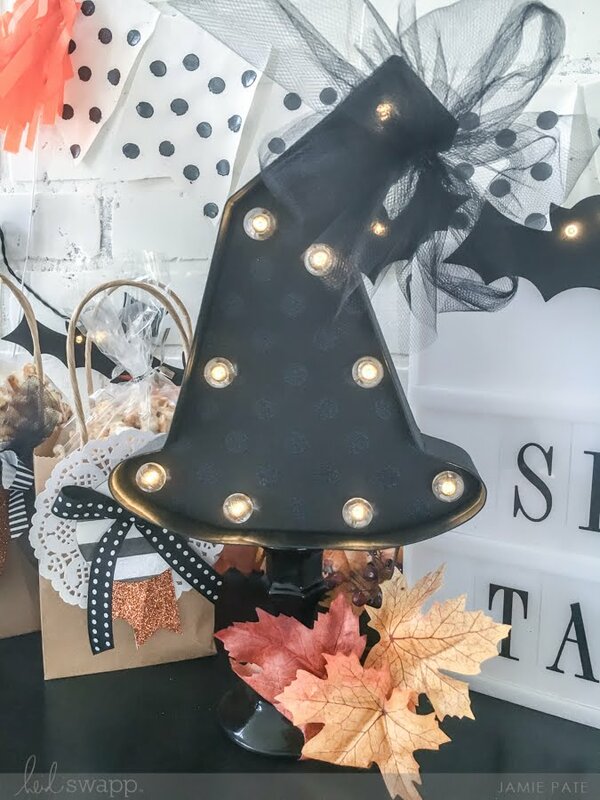 The Witch Hat Marquee Love is super adorable pretty much just as it is. I tied a bow of tulle to the top just to glam it up a bit. But seriously, set this black hat out and it's ready for any party. 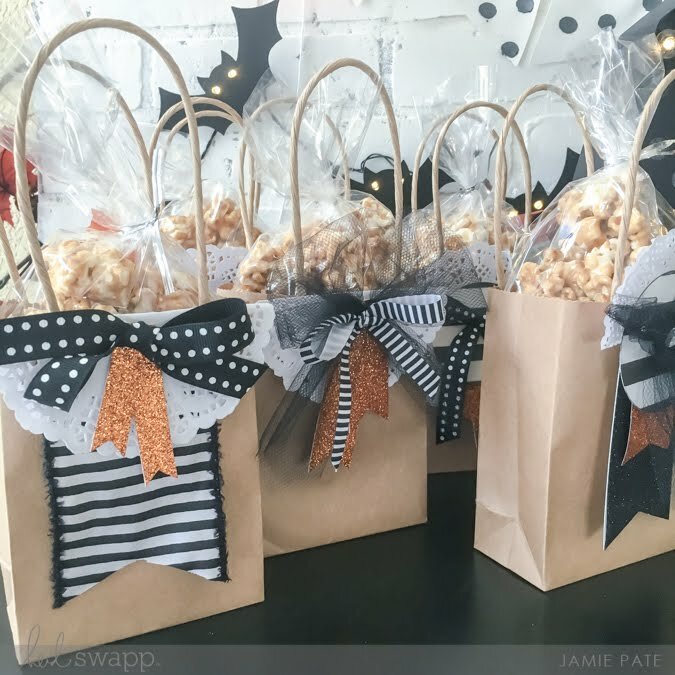 What party is not complete without goodie bags. Using ribbon from Michaels as well as Color Magic Doily plus Color Magic Circles to decorate the fronts only added to the festive-ness of the little party. 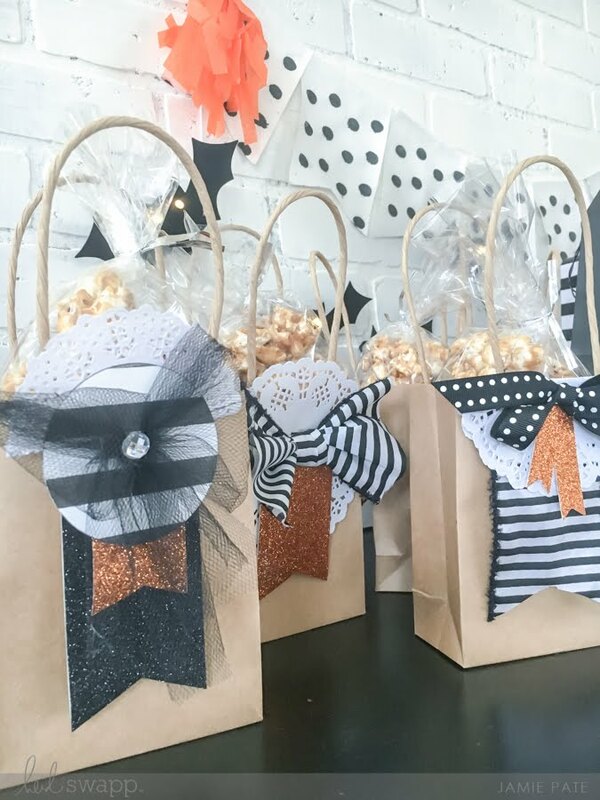 Heres a little tip: use Marquee Love Glitter Tape in Orange for notched tags and banners whenever you want to dress something up with a little glitter. 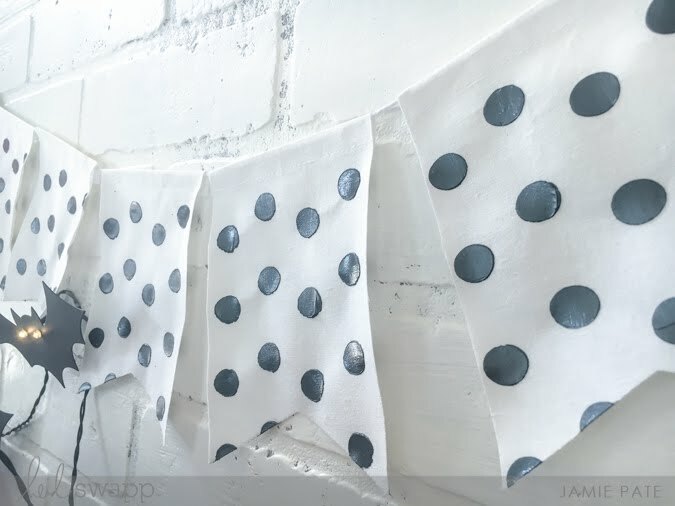 One more thing I want to show off are these Muslin Fabric Flags. I wanted a bit more texture to them so I stenciled them with a stencil I cut on my eclips2 machine and then used Black Metallic Texture Paste for a really fun banner. I really like how these turned out and will be doing this again. 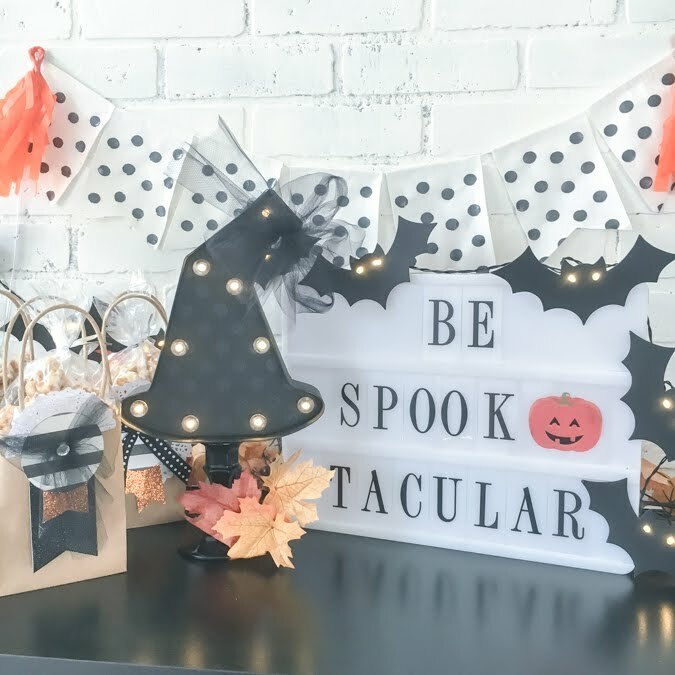 Just a couple tips for a festive Halloween affair. 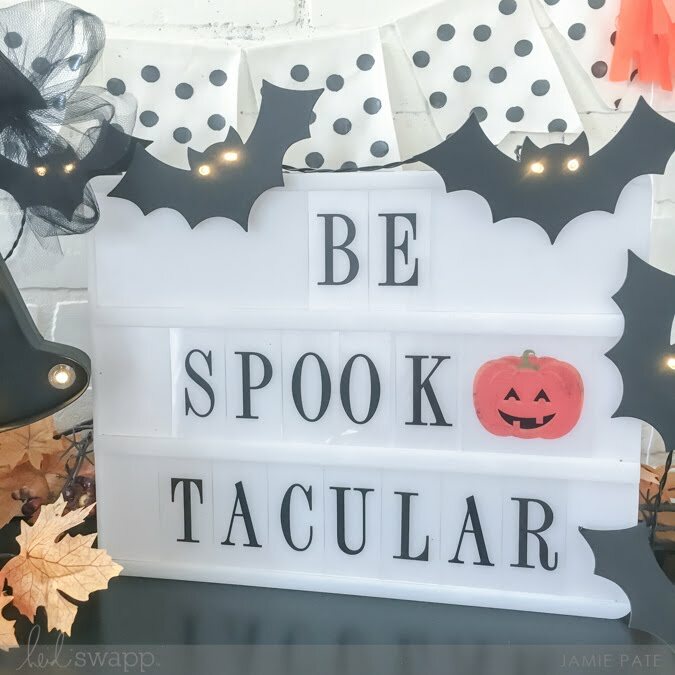 Hoping yours is SPOOKTACULAR too. 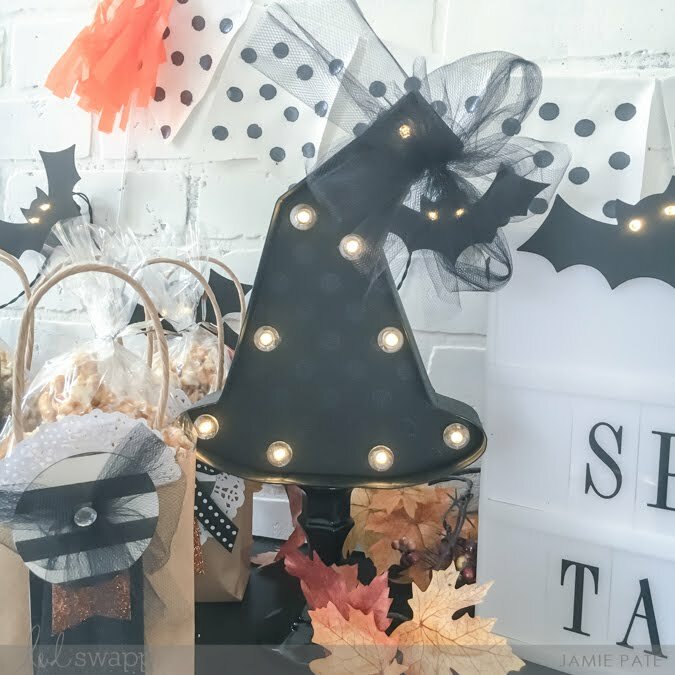 supplies: Heidi Swapp Halloween In Lights. Heidi Swapp Gallery Wall. Available at Michaels Stores. All ribbon is available at Michaels Stores. This is a personal blog. All editorial content and projects are intellectual property of jamiepate.com I do receive financial compensation and material product from American Crafts to develop my craft posts, but all ideas and opinions are my own. If you have any questions I am happy to reply. 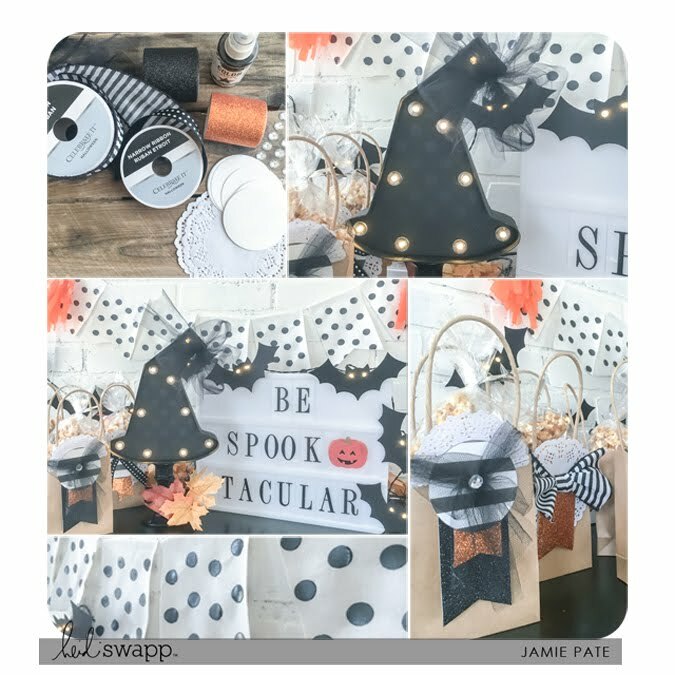 As always Jamie, you rocked the vignette and party ideas! Always loving your inspiration! Oh, and Heidi Swapp, you rock it to girl! Thank you so much, Sheila. Glad you are inspired! Makes me happy. i just LOVE every bit of this! Thank you. Couldn't do it without great product. 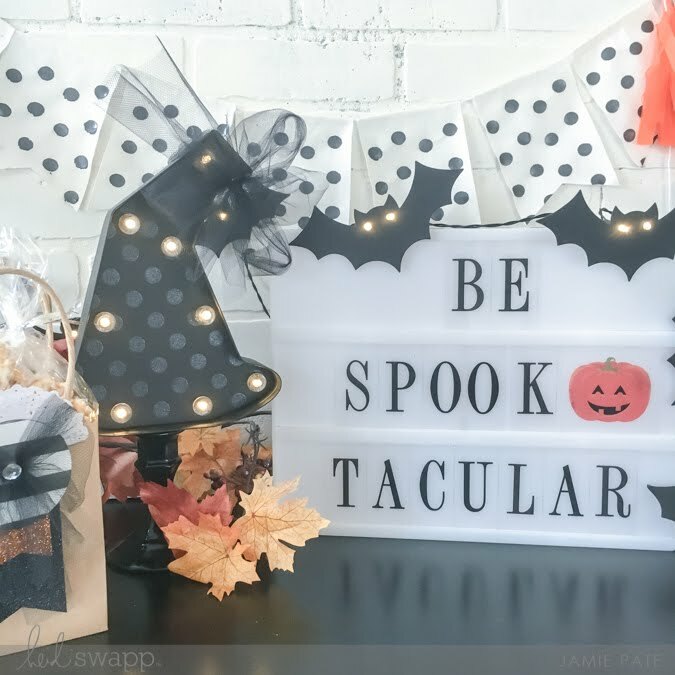 Such cute ideas! Love all the inspiration! Thank you, SO MUCH, Apryl.